The Washington, DC-based Carlyle Group private equity house is exiting its 14.3% stake in Bermuda’s Butterfield Bank, with a sale of its 7.6 million shares. As reported, Butterfield, one of the oldest names in offshore banking circles, listed its shares on the New York Stock Exchange last September, as its chief executive spoke of using some of the funds raised in the IPO to acquire trust businesses that would complement its existing offerings in this area. On its first day of trading on the NYSE, Butterfield saw its shares close at $24.75, 5.3% above the IPO price target of $23.50. 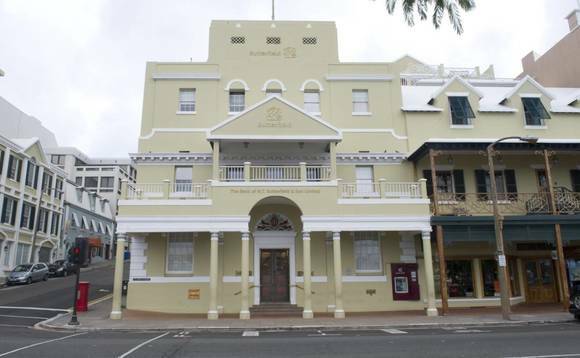 In a statement out of Bermuda on Thursday, the bank said it was selling off 9.55 million shares at $31.75 a share, on behalf of several shareholders including Carlyle. The bank itself will not receive any of the proceeds from this sale, it noted. Carlyle Group had been one of the major investors in a US$550m capital raising on behalf of Butterfield in 2010. In its statement, the bank said the selling shareholders had granted the underwriters a 30-day option to purchase an additional 1.4 million shares at the offering price, less underwriting discounts and commissions. The offering is expected to close on or about 28 February 2017, subject to customary closing conditions, the bank said. Goldman, Sachs & Co., Citigroup, Sandler O’Neill & Partners and Keefe, Bruyette & Woods are acting as the joint book-running managers, and Raymond James and Wells Fargo Securities are acting as co-managers for the offering. Butterfield grew out of a Bermuda trading company founded by Nathaniel Butterfield in 1758; Butterfield’s son, Nathaniel T, expanded the business to include financial services. By 1951 it had become the largest Bermudian-owned and held company in terms of per capita owners. In the 1960s and over the intervening decades, Butterfield developed its international business, opening an office in Barbados in 2001, and in 2004, acquiring a City of London merchant bank, Leopold Joseph. The bank’s shares have been listed on the Bermuda Stock Exchange since 1971. It appeared to begin to lose its way sometime around 2010, when it posted a US$213m loss in the wake of the global financial crisis, and agreed to allow a number of outside institutions – including the Carlyle Group as well as the Canadian Imperial Bank of Commerce – to acquire a majority stake. Subsequently it went on to acquire Guernsey-based Legis Group Holdings Ltd in 2014 and, later the same year, parts of the corporate and retail banking business of HSBC’s Cayman Islands business. In 2015 it acquired Bermuda Trust Company Ltd and HSBC’s private banking, trust and investment business, also in Bermuda, which was reported to have US$24bn in assets under administration and US$1.5bn in assets under management. As reported here in February, it also announced a planned winding down of its UK private banking operations, saying at the time that it was looking to focus more on the offshore parts of its business. It said it would, however, maintain a mortgage lending business in the UK, which it has now launched, under the name Butterfield Mortgages Ltd, in new offices in the City of London.